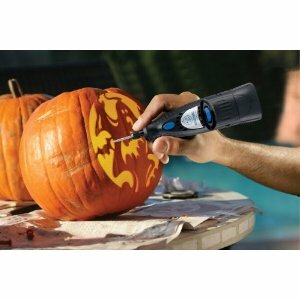 Which also reminds me, while we were at Lowes this weekend (because of course we have to look at house projects when your handy-man-dad is in town) we saw a Dremel Pumpkin Carver! Some people must be pretty extreme with their carving, huh? !